MHCLG have issued Lifetime Allowance factors that have effect from 1 April 2019. The factor spreadsheet and covering letter from MHCLG are available under the actuarial guidance page. The LGPC Secretariat has published a briefing for local government employers and LGPS administering authorities which collates information from the HMT consultation documents. The briefing along with all the consultation documents can be viewed on the Non-scheme consultations page. Fundamentals is a three day training course aimed at elected members and others who attend pension committees/panels and local pension boards. It runs from October to December each year in three different locations. Book your place on the LGA events page. More information including the training programme is available in circular 330. HM Treasury have today issued a 12 week consultation called 'Restricting exit payments in the public sector: consultation on implementation of regulations'. The consultation closes on 3 July 2019. Consultation documents can be viewed on the Non-scheme consultations page. The LGA will provide a summary of the consultation shortly. New versions of the Discretions Policy (version 1.10) and List (version 1.8) were published on 8 April 2019. The documents remove a flawed discretion under regulation 30(7) of the LGPS Regulations 1997 (employer approval for payment of benefits at NRD, in respect of a member who opted out of the Scheme whilst continuing in employment). The minutes from the meeting held on 3 April 2019 are available to view under the CWG minutes page. The Local Government Pension Committee (LGPC) of the LGA has responded to MHCLG’s consultation on ‘Fair Deal - strengthening pension protection’. The response can be viewed on the consultations page. The March 2019 LGPC bulletin (no. 183) has now been published and is available on the LGPC Bulletins page. MHCLG have updated the actuarial factor spreadsheet to include the revised Club factors and revised CRA factors. The spreadsheet and covering letter from MHCLG are available under the actuarial guidance page. The additional pension calculator on the member website has been updated to take into account the revised factors and methodology from 1 April 2019. Following consultation with the Scheme Advisory Board (SAB) and the Government Actuary’s Department (GAD), MHCLG have opened a short, technical consultation on draft late retirement guidance and their plans for implementation of the new factors. Consultation documents are available under the consultations page. Bulletin 182 - Annual Update March 2019 has been published and is available from LGPC bulletins. The LGPC secretariat, in conjunction with the national Communications Working Group, have produced a leaflet to assist administering authorities when communicating the material changes to the scheme made by the LGPS (Miscellaneous Amendment) Regulations 2018 to scheme members. The document is available for download under the guides and sample documents page. This is the second bulletin to be published in February 2019 and contains a number of important updates for LGPS administering authorities, scheme employers and software providers; whilst also providing a general update for all stakeholders. Of particular importance are the articles on: •	cost management (response needed by 1 March 2019), •	the LGPS (Miscellaneous Amendment) Regulations 2018 (survivor benefits), •	Your LGPS contacts, and •	Tell Us Once (response needed by 27 February 2019), all of which require action by certain stakeholders. We have also published the latest dates for understanding workshops, insight residential course and advance notice of the 2020 Governance Conference. Additionally, a number of new consultations (pooling guidance and fair deal) have been published by MHCLG to which stakeholders may wish to respond. The Scheme Advisory Board to the LGPS in England and Wales has produced a Q&A for administering authorities on the potential timescales and possible outcomes of the McCloud case and its impact on the cost cap process. The Q&A is available on the Board's website. The timeline regulations have been updated to take into the account the changes made to both the LGPS 2013 Regulations and the LGPS (Transitional) Regulations 2014. The updated regulations can be viewed under the scheme regulations page. Circular 312 has been published and is available under LGPC circulars and advertises Employer and Practitioner training events to be run in March, April and May 2019. On 8th February, the SAB announced that it considers it has no option but to pause its own cost management process pending the outcome of the McCloud case. As a result there are currently no changes to benefits planned in respect of the cost cap. For more information see the cost management page on the Board's website. The minutes from the meeting held on 15 January 2019 are available to view under the CWG minutes page. On 10 January 2019, MHCLG opened a twelve week consultation called LGPS: Fair deal - strengthening pension protection. Consultation documents are available under the consultations page. MHCLG have issued revised factors for non-club transfers in, early retirements, trivial commutations, pension debits (pre and post 2014) and pension credits (pre 2014). The excel workbook containing the factors and the transitional arrangements table have been updated and are available under the actuarial guidance page. The information in this Guide sets out the LGPC Secretariat’s understanding of how increases are applied to LGPS pensions in payment on and after 6 April 2016 (i.e. following the end of contracting out). The December 2018 LGPC bulletin (no. 179) has now been published and is available on the LGPC Bulletins page. The LGPS (Miscellaneous Amendment) Regulations 2018 were enacted on 18 December 2018. The regulations and explanatory memorandum can be viewed on the LGPS 2013 Regulations page. MHCLG have also published their response to the consultation. NI Database usage expansion, possible recommendation for change to timescale for payment of 2014 refund, Ms D v bath & North East Somerset (the Council) (PO23282), Transfers out – requests for information from Claims Management companies, Aggregation following the cessation of a concurrent employment, Ministerial Direction under s59A of the Social Security Pensions Act 1975, revision to the Terms of Reference, creation of sub-groups to review forthcoming consultations, factor for interfunds. MHCLG have issued the updated factors in accordance with regulation 2(3) of the LGPS 2103 Regulations. A spreadsheet containing the factors and a covering letter were emailed to LGPS administering authorities on 19 November - both will be uploaded to the actuarial guidance page in the next few days. The October 2018 LGPC bulletin (no. 177) has now been published and is available on the LGPC Bulletins page. The programme for the 15th LGPS annual governance conference is now available. Places are going fast - see the programme for information on how to book your place. The Freedom and Choice AVC technical guide has been updated to clarify the options available where an orphan AVC is left with a previous administering authority. Clean and tracked versions of the guide (version 3.0) are available under guides and sample documents. On 3 October 2018, MHCLG opened an eight week consultation on amendments to the LGPS which are necessary to respond to recent legal judgements and meet existing policy objectives. MHCLG intend to undertake a separate technical consultation on draft amendment regulations to give effect to the proposed changes. Consultation documents are available under the consultations page. The national communications working group, in conjunction with the LGA, have produced a members' guide to AVCs in the LGPS. The guide is available in word and pdf format and can be found under guides and sample documents. September bulletin 176 was published on 26 September 2018. The August 2018 LGPC bulletin (no. 175) has now been published and is available on the LGPC Bulletins page. The 85 year rule guide has been updated to reflect the changes brought about by the LGPS (Amendment) Regulations 2018 - accordingly version 1.12 has been published in both track and newly formatted clean versions. Since publication, we have made a number of clarifying amendments to bulletin 171 and we have now published an updated version (dated July 2018). The updated version replaces the first version with the amendments shown in tracked changes. The Freedom and Choice AVC technical guide and template letters have been updated to reflect the recent changes made by the LGPS (Amendment) Regulations 2018. Clean and tracked versions of both documents (both version 2.0) are available under guides and sample documents. Version 1.8 of the underpin guide has been published. This guide reflects the changes implemented by way of the LGPS (Amendment) Regulations 2018. The issues with HMRC's annual allowance calculator have now been fixed and the calculator is back online. The June 2018 LGPC bulletin (no. 173) has now been published and is available on the LGPC Bulletins page. The employee guides (full and brief) and councillor guides (full, 2014 update for England and the introductory leaflet for Wales) have been updated for the changes made by the LGPS (Amendment) Regulations 2018. Tracked and clean versions are available under guides and sample documents. Squire Patton Boggs have updated the template full privacy notice to include administering authorities of other LGPS funds in the section which sets out which data controllers LGPS funds share data with. Clean and tracked versions of the privacy notice are available under guides and sample documents. The Secretariat, in conjunction with the national Communications Working Group, have produced a leaflet to assist administering authorities when communicating the material changes to the scheme made by the LGPS (Amendment) Regulations 2018 to scheme members. The document is available for download under the guides and sample documents page. Circular 306 has been published and is available under LGPC circulars. Bulletin 171 provides commentary for LGPS administering authorities in England and Wales on the changes to the LGPS introduced by the Local Government Pension Scheme (Amendment) Regulations 2018 (Statutory Instrument 2018 No. 493). The bulletin is available under LGPC bulletins. LGPC's April bulletin (no.170) has been published and is available under LGPC bulletins. The employee and councillor guides have been updated for the 2018/19 annual updates. The Local Government Pension Scheme (Amendment) Regulations 2018 were enacted on 19 April 2018 and amend the Local Government Pension Scheme Regulations 2013 (“the 2013 Regulations”) and the Local Government Pension Scheme (Transitional Provisions, Savings and Amendment) Regulations 2014 (“the 2014 Regulations”) adding clarity, and addressing necessary issues that were raised during the 2016 consultation, as good stewardship of the regulatory framework of the Scheme. Unfortunately, following the addition of the 2018/2019 tax year, the pensions annual allowance calculator is not working as it should in some cases. As this is not in line with the level of service that HMRC is committed to provide, and to make sure customers get the right results from the calculator in future, they have temporarily removed access to the calculator until it can be updated. The LGPC Secretariat, on behalf of LGPS administering authorities, commissioned Squire Patton Boggs to produce a template Memorandum of Understanding (MOU) document for administering authorities to issue to participating employers in their fund. The document is now available for download under the guides and sample documents page. Updates have been made to both the lifetime allowance and annual allowance member factsheets. Tracked and clean versions are available for download under the guides and sample documents page. The latest versions are 1.5 for the lifetime allowance factsheet and 1.4 for the annual allowance factsheet. Bulletin 168 (March 2018) has been published and contains topics such as the publication of the new Freedom & Choice AVC technical guide, SPPA circulars, security compliance for TUO, publication of GDPR template privacy notices and publication of version 7.0 of the transfer out declaration forms. Bulletin 169 (Annual Update 2018/19) has also been published. Both bulletins are available under LGPC bulletins. Minutes of the Technical Group meeting held on 9 March 2018 covering the LGPC update, Consultation outcome on indexation and equalisation of GMP in public service pension schemes, GMP Technical Working Group that took place on 28 February 2018 - update, Contracted-out reconciliation – rectification (Stage 3), Contracted Out Reconciliation – Stalemate cases, HMRC Notification for Survivors, Re Use of Public Sector Information Request, GDPR – Data Sharing – Mortality Screening, TPR Conditional data. We have removed reference for the requirement to be a ‘nominated’ co-habiting partner in respect of the Northern Ireland LGPS and made clear that where a transfer is in respect of a deferred refund, this is a ‘Cash Transfer Sum’. We have also made a technical adjustment to the areas concerning what sums should be included when assessing whether or not the aggregate value of a members benefits has exceeded £30,000 or not. The freedom and choice AVC guide has now been published along with template letters and an AVC risk warning. It is available under guides and sample documents. The LGPC secretariat, on behalf of LGPS administering authorities, commissioned Squire Patton Boggs to produce two template privacy notices for LGPS administering authorities to use / adapt. The privacy notices will need to be tailored to the specific circumstances of each fund taking into consideration the notes on the first page and the footnotes when doing so. Both privacy notices are available under guides and sample documents. The Communications Working Group in conjunction with the LGA have published a Q&A for members on the GDPR. The document is available under guides and sample documents. The LGPC Secretariat's February 2018 bulletin (no. 167) has now been published and is available under LGPC bulletins. The LGPC Secretariat's January 2018 bulletin (no. 166) has now been published and is available under LGPC bulletins. The Government has responded to its consultation on the indexation and equalisation of GMP in public service pension schemes, issued on 28 November 2016, this has been published and is available under Non-scheme consultations. The LGPC Secretariat's December 2017 bulletin (no. 165) has now been published and is available under LGPC bulletins. A revised version (version 3.3) of the annual allowance technical guide has been uploaded to the guides and sample documents page. The guide has been updated to reflect the reduction in Money Purchase Annual Allowance (MPAA) from 6 April 2017 and also to correct the carry forward examples on pages 126 to 143 of the guide. Version 6.0 of the LGPC Secretariat's pack of transfer declaration forms have been issued and are available under guides and sample documents. The LGPC's November 2017 bulletin (no. 164) has now been published. To read the bulletin, please visit the LGPC bulletins webpage. The LGA have published a legal opinion from Squire Patton Boggs on the implications of the EU's General Data Protection Regulation (GDPR) for LGPS administering authorities when it comes into effect in May 2018. The legal opinion can be found on the legal opinions page of our website. DCLG have published two template documents to assist LGPS employers in the process of making an application to substitute an administering authority under Part 2 of Schedule 3 of the LGPS Regulations 2013. Application form – to be completed by the scheme employer containing the relevant details regarding the application. This form can be used by any scheme employer looking to make an application to substitute an administering authority for another. Template Direction for College mergers – to be completed by the legal representative of the scheme employer(s) making the application. The legal representative should complete the gaps so that the completed version could be sent by DCLG to the applicant(s) to approve the application. This form can be used by Colleges who are merging and, as a consequence, wish to merge or move their LGPS memberships into another fund. Where a College is making an application to substitute an administering authority, the application form (above) must also be completed. Completed applications and questions or queries in respect of the forms should be sent to [email protected]. The automatic enrolment brief guide has now been updated in accordance with the Employers’ Duties (Miscellaneous Amendments) Regulations 2017 which has the effect of aligning the timing of the deferral date in relation to postponement so that for staging and post-staging employers the period for which automatic enrolment can be deferred is the same i.e. three months and one day. In addition some other small amendments have also been made. A clean and tracked version of the guide (version 8.0) are available under guides and sample documents. The LGPC Secretariat have obtained a Counsel opinion on the eligibility of assistant coroners for the LGPS in England and Wales. The opinion is available on the legal opinions page and has been published alongside an additional note regarding a historic matter on the treatment of coroners in the LGPS. The LGPC's October 2017 bulletin (no. 163) has now been published. To read the bulletin, please visit our LGPC bulletins webpage. The LGPC Secretariat have made a series of updates to our suite of transfer declaration forms, the current versions of which can be found under guides and sample documents. We have also temporarily withdrawn the Freedom and Choice technical guide whilst we make a series of updates to its content. The updated version of the guide will be published as soon as possible and, in the meantime, the most recent version of the guide can be found under withdrawn guides. The September 2017 LGPC bulletin, no. 162, has now been published and is available on the LGPC bulletins page. A relaunched version (version 7.0) of the automatic enrolment brief guide has now been published and is available under guides and sample documents. The new version is a complete rewrite of the guide meaning that a tracked version is not available. The new guide aims to supplement the information provided by the Pensions Regulator (TPR); it covers automatic enrolment from the perspective of the LGPS and TPS and contains signposts to the detailed guidance available on TPR’s website. The sample letters have also been updated and are now contained in a standalone document – clean and tracked version of these are also available under guides and sample documents. The full guide has now been removed and placed under withdrawn guides. We have taken this decision because in 2017 automatic enrolment, for the most part, is simply ‘business as usual’ and the TPR website contains the vast majority of information needed by an employer. The August 2017 LGPC bulletin, no. 161, has now been published and is available on the LGPC bulletins page. The July 2017 LGPC bulletin (no. 160) is now available on the LGPC bulletins along with accompanying appendices. Minor updates have been made to the sample lifetime allowance factsheet for scheme members which is now available as version 1.4 on the guides and sample documents page. A tracked version of the factsheet shows the amendments made in the revised version. DCLG have published an updated version of their statutory guidance on preparing and maintaining an investment strategy statement (ISS), as issued under regulation 7(1) of the LGPS (Management and Investment of Funds) Regulations 2016. The updated guidance is available on the Investment Regulations 2016 page. The minutes of the June 2017 meeting of Technical Group are now available on the Technical Group minutes page. The June 2017 LGPC bulletin, no. 159, has now been published and is available on our LGPC bulletins page. The minutes of the 6 March 2017 LGPC meeting have now been finalised and are available on the LGPC minutes page. LGPC information note on GMP pensioner overpayments has been issued and is available on our Guides and sample documents page. Version 6.2 of the automatic enrolment full guide for pension funds and employers has now been issued and is available on the guides and sample documents page. This will be the last version of the full guide to be issued and, once legislative changes are introduced that would mean the guide would again need to be updated, the guide will be removed and placed on the withdrawn guides page. The current version of the LGA pension team's automatic enrolment brief guide has been moved to the withdrawn guides pending a re-launch of the guide, due in late Summer 2017. The LGPC secretariat's May 2017 bulletin (no. 158) has now been published and is available on the LGPC bulletins page. The Scheme Advisory Board for the LGPS in England and Wales have published a report by PwC entitled 'Options for academies in the LGPS'. The report was commissioned by the Scheme Advisory Board in 2016 to look into the issues associated with the participation of academies in the LGPS and the options for addressing these. The report is available on the Board website. A timeline version of the LGPS (Management and Investment of Funds) Regulations 2016 (SI2016/946) is now available from the Investment Regulations 2016 homepage. The timeline LGPS Regulations 2013 have now been amended to reflect minor changes made by a number of statutory instruments issued in 2016. 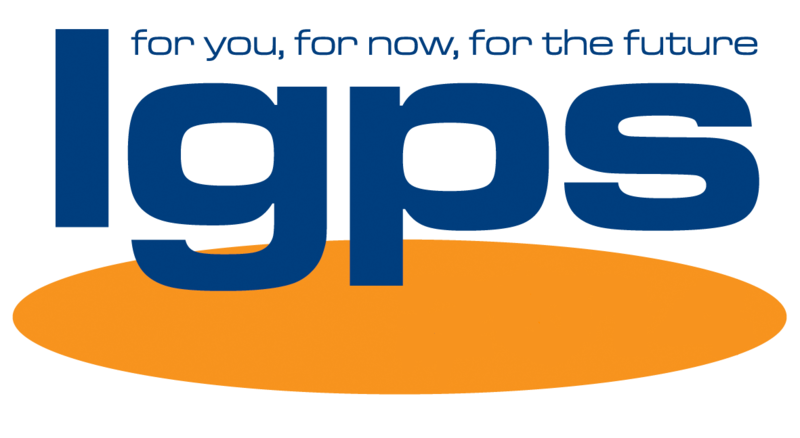 Clean and tracked versions of the updated Regulations are available from the LGPS Regulations 2013 homepage. Version 1.7 of the LGPC guide to trivial commutation for LGPC administrators has now been issued and is available on our Guides and sample documents page. The transfer discharge forms have been updated. Clean and tracked versions are available (version 4.0). A scheme administrator factsheet has been published on the overseas transfers charge that can apply to QROPS transfers from 9 March 2017. In conjunction with the Department for Communities and Local Government and the Department for Education, the Local Government Association has today published “Local Government Pension Scheme – arrangements for academies”. This is intended for schools considering conversion to academy status, academy trusts, multi-academy trusts and administering authorities. Although the advice given in the paper is intended to have wide application across the 79 LGPS funds in England, some variation in policy and approach across all the funds and their advisers is inevitable. Schools engaged in conversion are therefore encouraged to contact their local fund as early as possible in the process and seek assistance from independent professional advisors retained by them for the purpose. The document can be found on our Other Government documents. The LGPC's March 2017 bulletin (no. 156) has been published containing a number of general items of information. The bulletin is available on our LGPC Bulletins page. The LGPC's trustees' conference, taking place this year in Bournemouth on 29-30 June 2017, is now open for bookings. Full details are available in circular 303 and in the conference flyer. To book, visit the LGA Events website. New individual incoming and outgoing transfer factors have been published by DCLG. The publication follows the issue of the new Club memorandum by the Cabinet Office in February 2017. The new factors can be found on our Actuarial guidance page. LGPC bulletin no. 155 containing the annual update for 2017 has now been published. The bulletin can be found on our LGPC Bulletins page. An updated version of the LGPC's technical guide to the underpin has now been issued (version 1.7). The updated version is available on our Guides and sample documents page. The 2017 'annual update' statutory instruments, meaning those SIs which amends rates and bands applicable from April 2017 for various purposes, have now been published by the Government and are available on the Related legislation page. The accompanying annual update bulletin is due to be published shortly. The February 2017 bulletin (no. 154) has now been published and is available on our LGPC Bulletins page. DCLG have publised new actuarial guidance on the conversion of accumulated AVCs to transfer credits under regulation 66(8) of the LGPS Regulations 1997. The new guidance can be found on our Actuarial Guidance page. The minutes of the 23 January 2017 meeting of the Local Government Pensions Committee have now been published on our LGPC minutes page. Version 1.3 of the LGPS ABS template has now been published along with version 1.5 of the full guide for councillors. Both documents are available on our Guides and sample documents page. The LGA have submitted its response to the HM Treasury consultation on the indexation and equalisation of GMP in public service pension schemes (Gov.uk). The response is available on our Non-scheme consultations page. Following discussions held at the communications working group in late 2016, the LGPC Secretariat have published a short factsheet for members on the options available for topping up their state pension. The leaflet’s content has been checked by DWP’s policy team and can be found on our Guides and sample documents page. b)	Not yet reached SPA (or have reached their SPA since 6 April 2016). Annex 3: New examples 47 to 57 have been added to explain the effect on the annual allowance calculation of Club transfers. Note that examples 48, 50, 52, 53, 54, 55A, 55B, 56A and 56B represent the LGPC Secretariat’s view on how the cases in those examples should be valued for annual allowance purposes. However, although we feel reasonably confident that the examples are correct, the Secretariat is checking with the Cabinet Office, GAD and the Public Sector Pensions Forum to see whether or not they agree with the calculations. Confirmation, either way, will be provided to administering authorities as soon as a response has been received. Minor updates have also been made to both the 85 year rule technical guide (now issued as version 1.11) and the ABS technical guide (now issued as version 1.11). The updated documents can be found as tracked and clean versions on our Guides and sample documents page. The Cabinet Office have issued an updated version of the public sector transfer club memorandum along with an updated list of the schemes participating in the club. The updated memorandum is effective from 1 March 2017. The updated documents are available on the Civil Service Pensions website as well as under other Government documentson this website. The main changes to both documents are shown in red. The January 2017 LGPC bulletin has now been published and is available on our LGPC bulletins page.